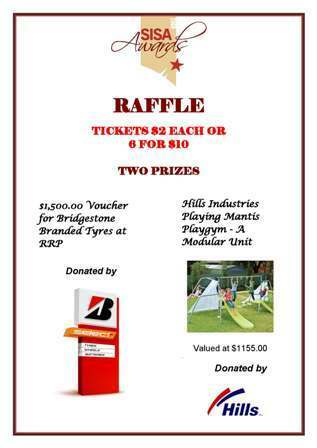 $1,500.00 Bridgestone Branded Tyres Voucher - Winner: Brett Hutchinson from QPL. $1,155.00 Hills Industries Playgym - Winner: Kevin Wilhelm from Applied Innovative Services. Congratulations to the winners and tbig huge thank you to the sponsors Bridgestone and Hills Industries. The raffle was run from 6.00pm through to 8.30pm and drawn at 9.45pm.